The BC Chapter of the Graphic Designers of Canada interviewed me recently after I became a CGD™ certified member. I recently made it a priority to get more involved in this professional organization after being heavily involved in volunteering in my other passion, BMX biking. For over 15 years I’ve been involved in groups like the Vancouver Skateboard Coalition and Vancouver Dirt Jumping Coalition to help get public skateparks and dirt jumps built in the Lower Mainland for all users. It’s time for me to give back to my profession. I started volunteering at GDC events, and have been getting involved with other design related organizations and events, such as the relatively new Creative Pulse group — check the link for their Facebook page and keep up to date with their events. In the GDC profile I answered questions about why I wanted to become a certified graphic designer (CGD™) and the value of the certification, as well as how I first got interested in design and how living in BC has influenced me. The interview also highlights work from my portfolio, including the Tugboat Group website redesign, Jind Fruit Co. packaging line, Jamieson-Hilts Insurance Brokers rebrand, Windset Farms office interior and wayfinding signage and the Windset Farms packaging design. These are also a few of the projects that I submitted to the GDC for my CGD certification. 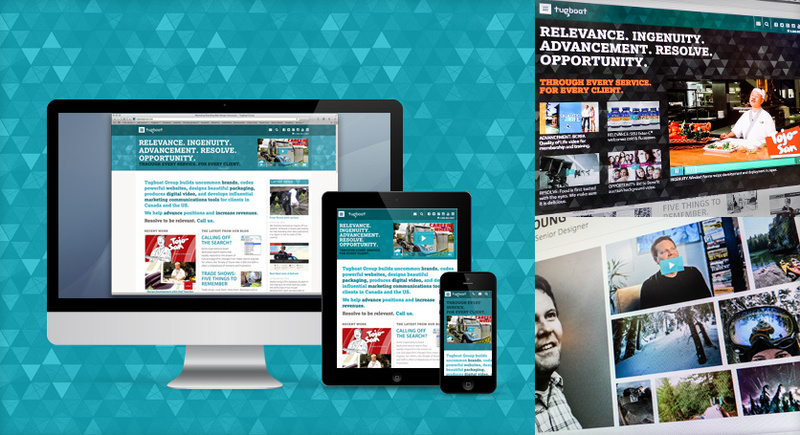 One of the larger projects I highlighted was the Tugboat Group website redesign; it’s a major upgrade to a website with lofty goals. The website had been through many iterations of concepts, but kept getting pushed to the back-burner, as these things do at a studio that’s too busy with client work to find time for its own needs. The site had been roughed into place by a few junior designers, but I was tasked with finishing it. 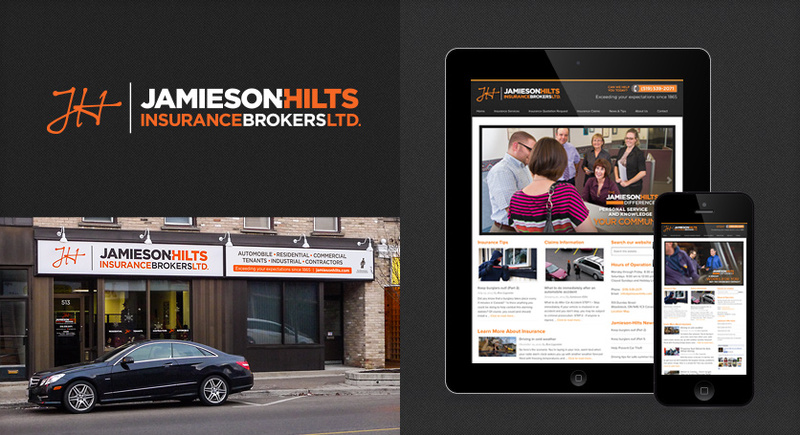 The Jamieson-Hilts Insurance Brokers rebrand started with an analysis of the business, and how it is evolving. From there, a new identity was designed including a stationery package, storefront signage, directory listings, magazine ads, and a new website. 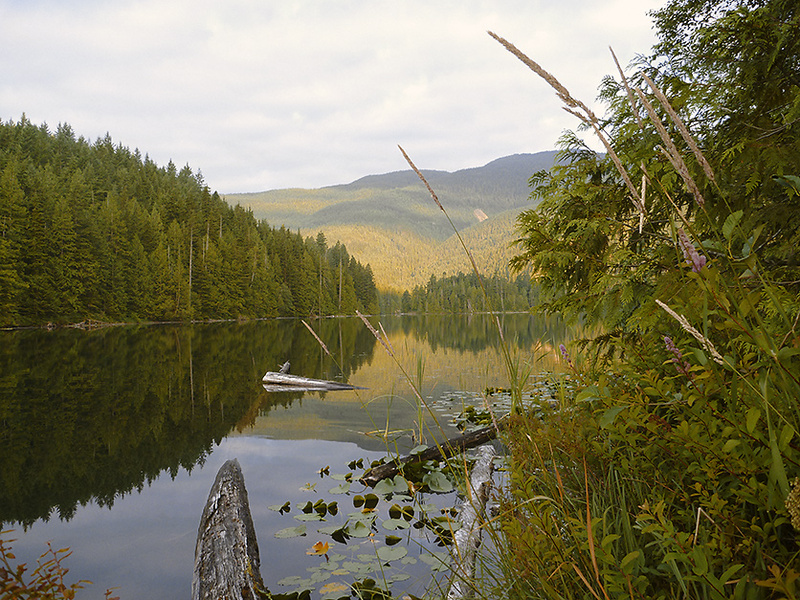 I also included a photo I shot early one morning while out camping by canoe. It was a beautiful still morning on the lake with herons squawking away in the distance. I shoot lots of photos when I’m out on adventures and this one hangs on my living room wall. Thanks to the GDC BC Chapter for the opportunity for me to share my work. 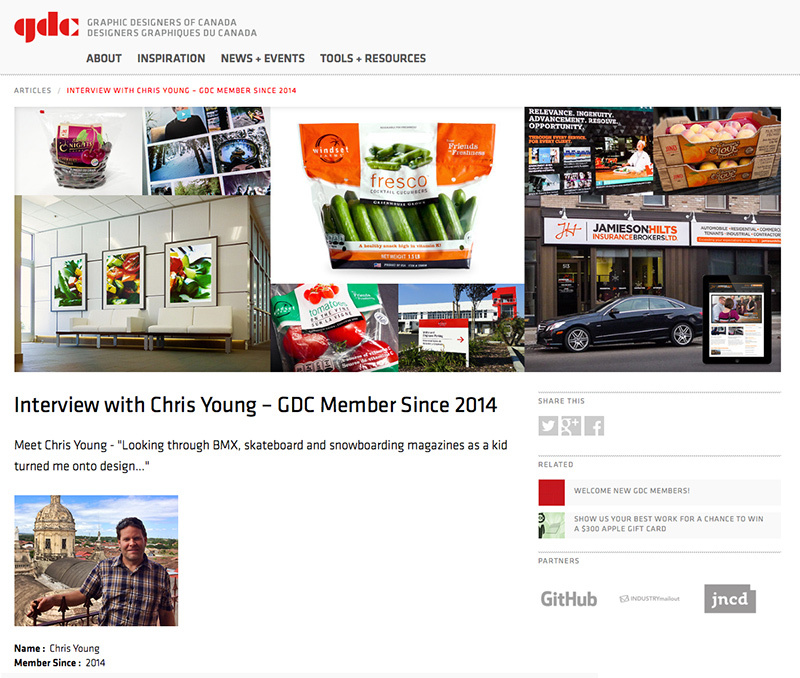 You can see my profile on their website, and you can see my GDC member profile at gdc.net/chrisyoung.